A subtle change can make a big difference! Just a subtle change can make a big difference in the appearance of your home! Installed at a home in Shorewood were a 16×7 and a 9×7 Thermacore® 199 series Overhead Door™ with V-10 design, Stockton 2 glass panel, and a white exterior. This customer also chose to spruce up their garage door with decorative hardware! 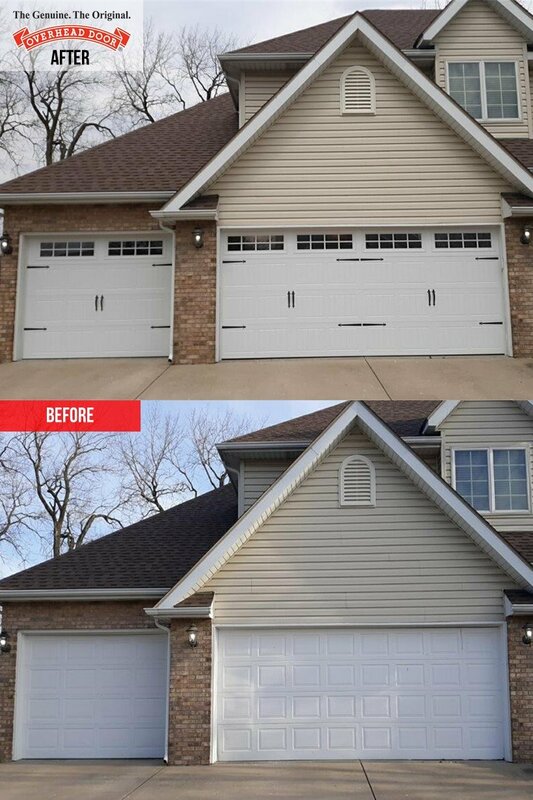 Call the office at (815)725-6077 for your free estimate, or visit our website at overheaddoorjoliet.com to check out your options! Now offering special financing options! In need of a new garage door opener? Leave it to the pro’s! Scared of heights? Not us!